sure don't find much to complain about! 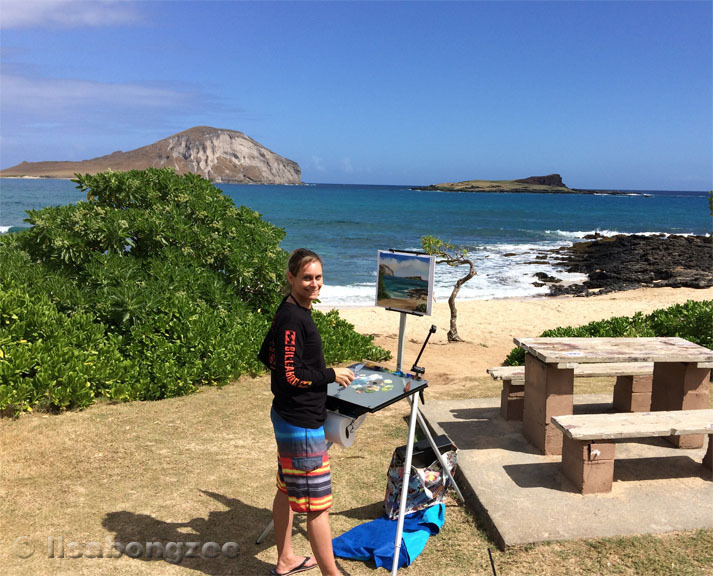 Although it was the weekend, the weather was absolutely beautiful and I felt like painting. Baby Makapu'u was picture perfect with so many great scenes, it was hard to choose a spot to plant my easel. 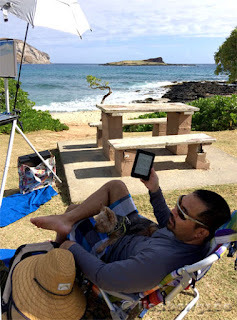 My wonderful assistants didn't complain once about having to work a weekend. where work and fun are both the same! 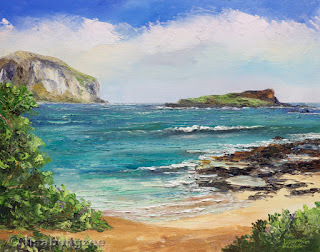 Honokohau Bay is located just a few miles north of Kapalua and Honolua Bay. 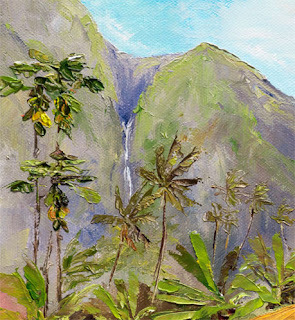 It can be easily missed, but well worth a visit. 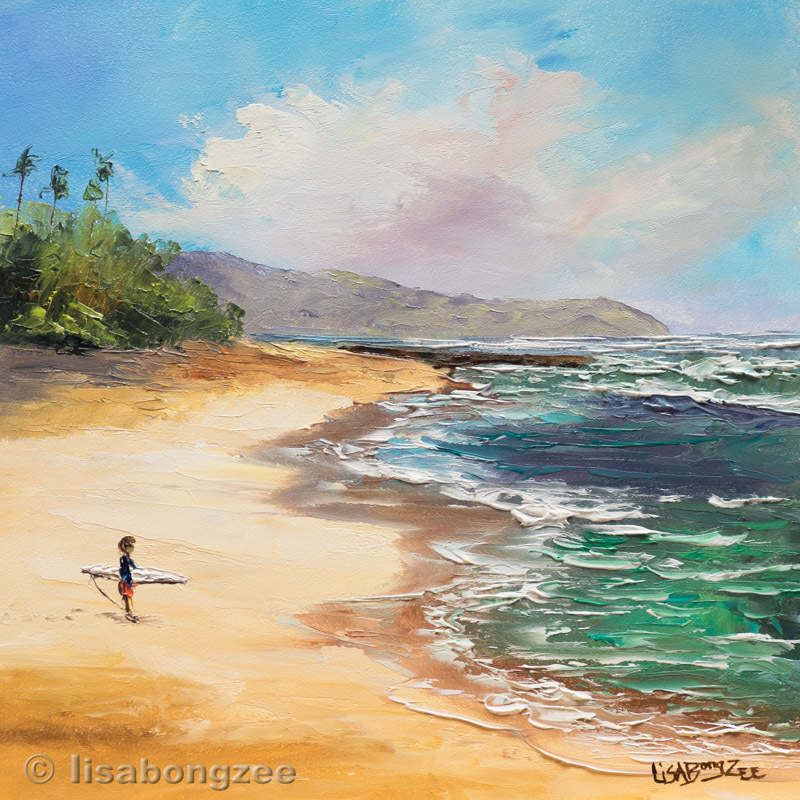 As of yesterday, it was all the buzz around Hawaii, the EDDIE was ON! 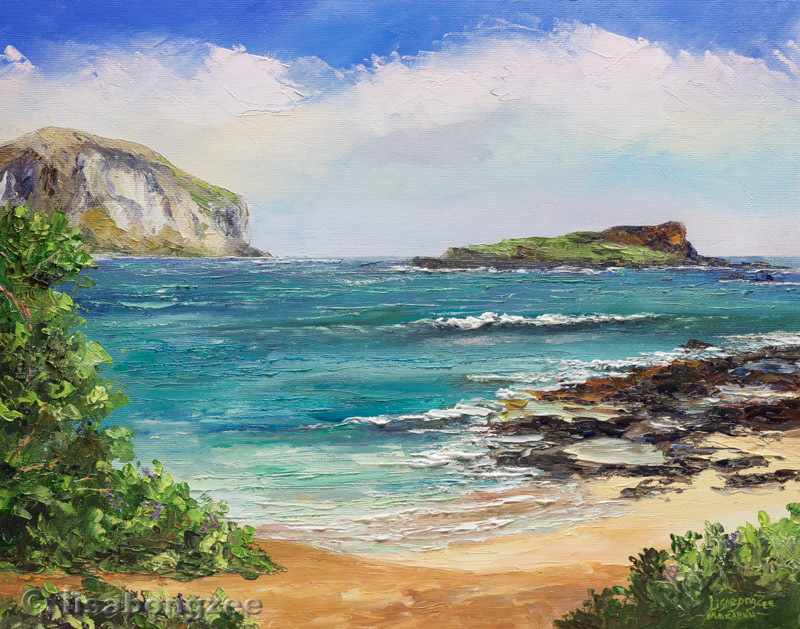 Last held in 2009, The "Quiksilver In Memory of Eddie Aikau" has had a long wait, but finally the big wave riders would get to show their thing up at Waimea Bay. 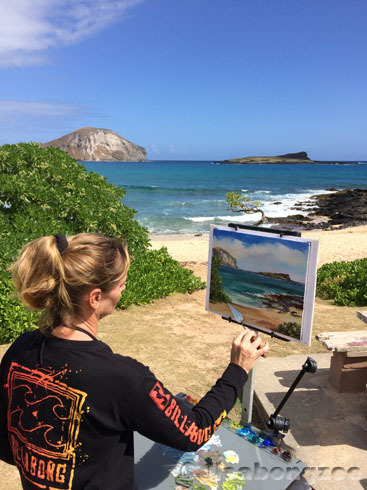 We were so excited for this legendary event! Unfortunately, Mother Nature had other plans, and ended up dishing out less than ideal surf conditions this morning, forcing the competition to be called off just hours before it was suppose to start. 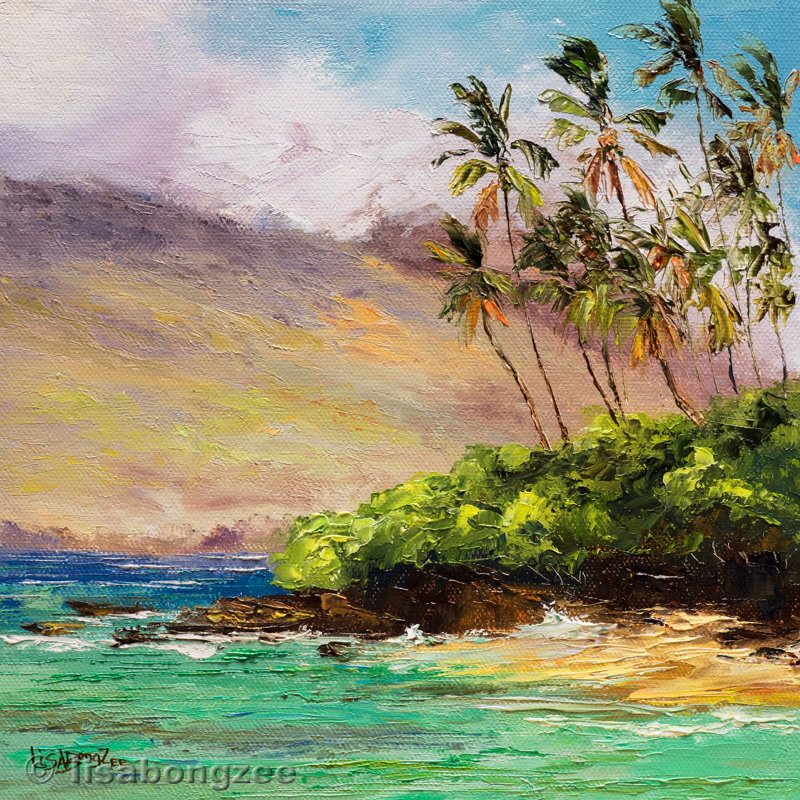 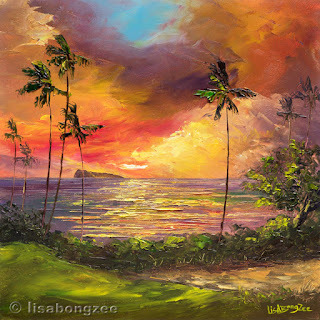 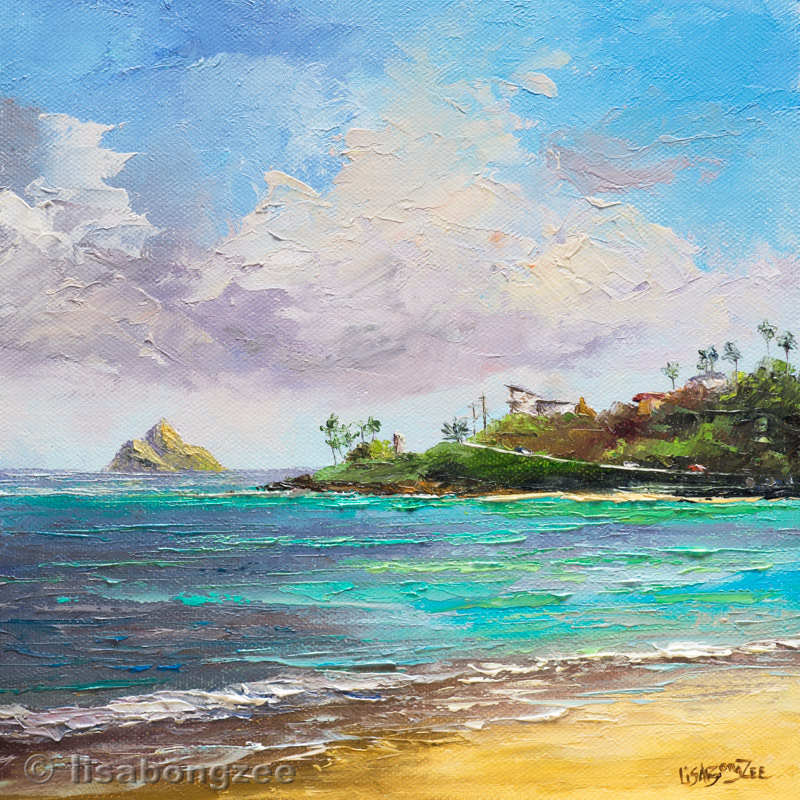 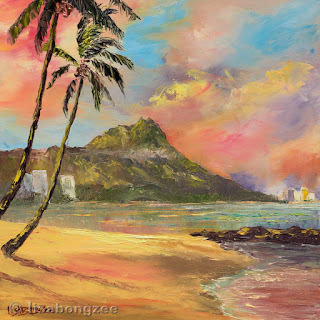 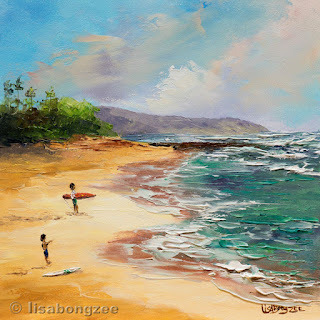 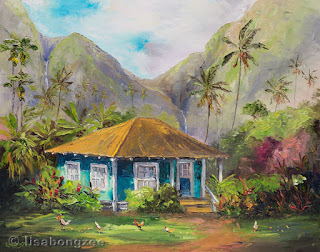 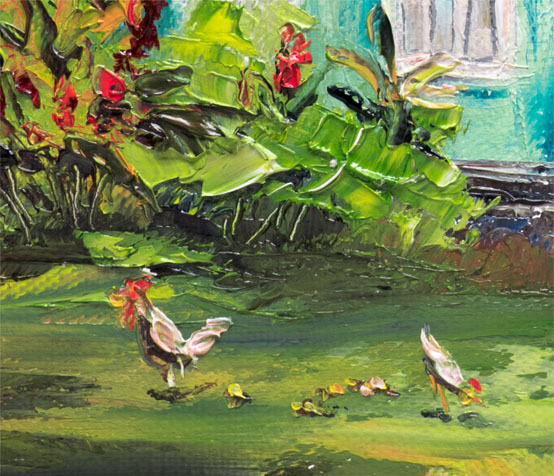 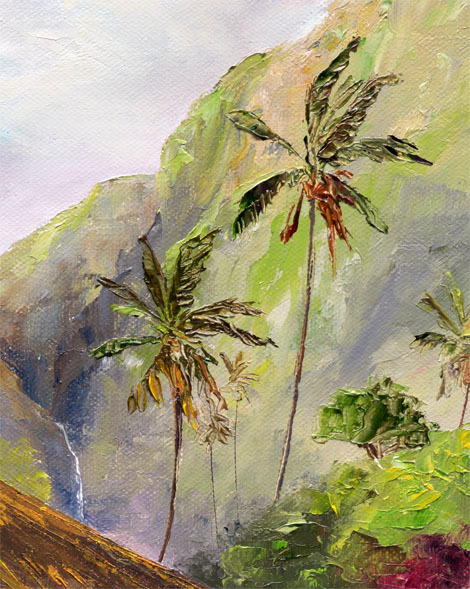 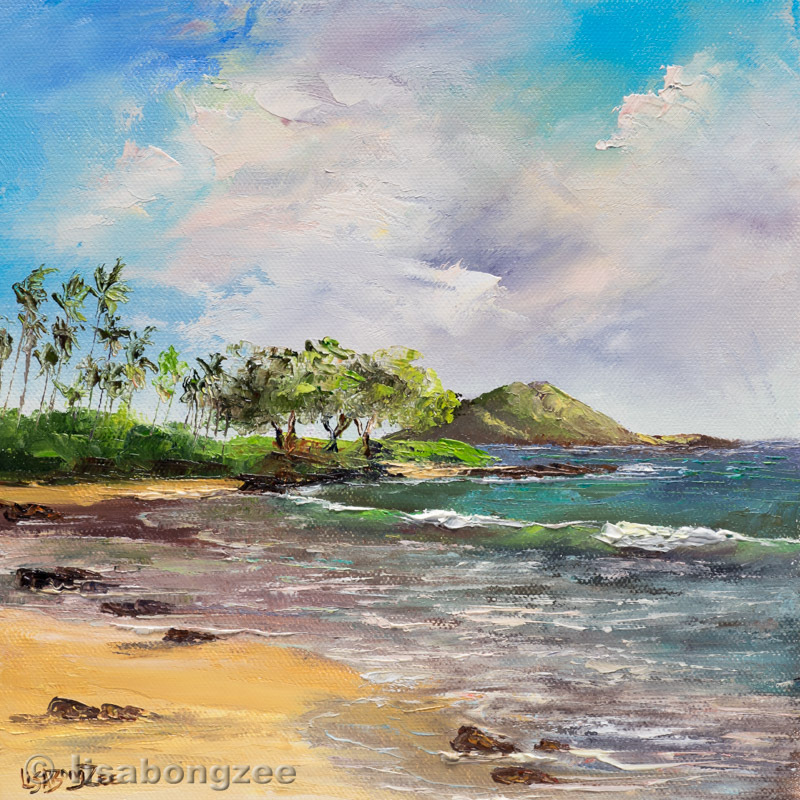 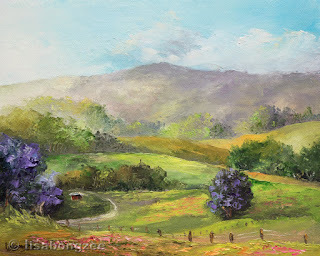 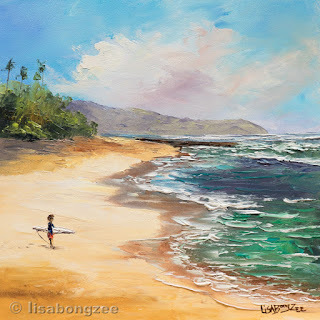 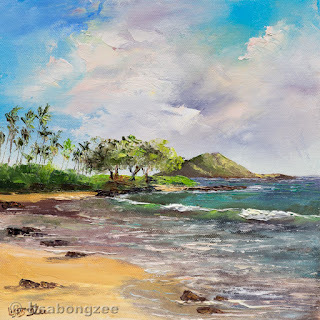 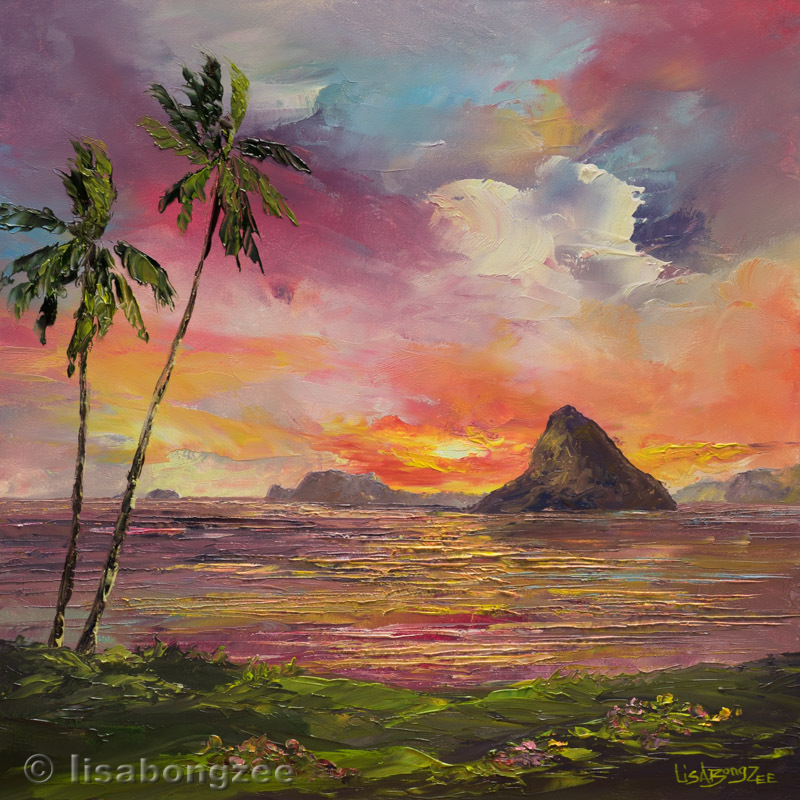 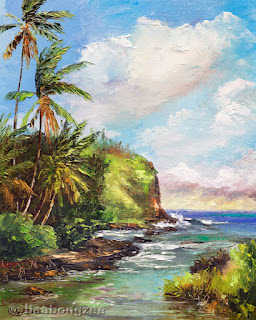 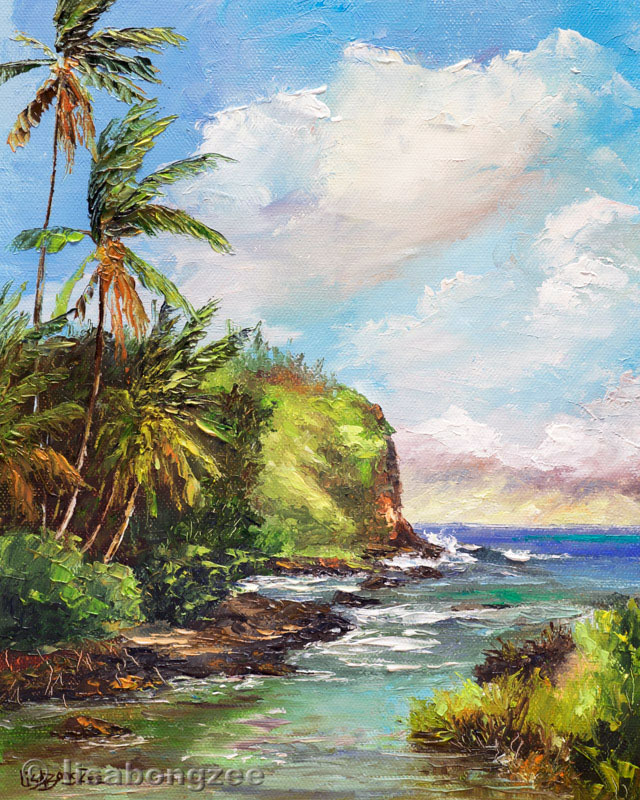 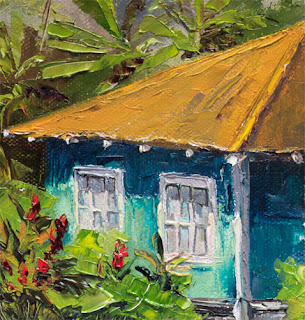 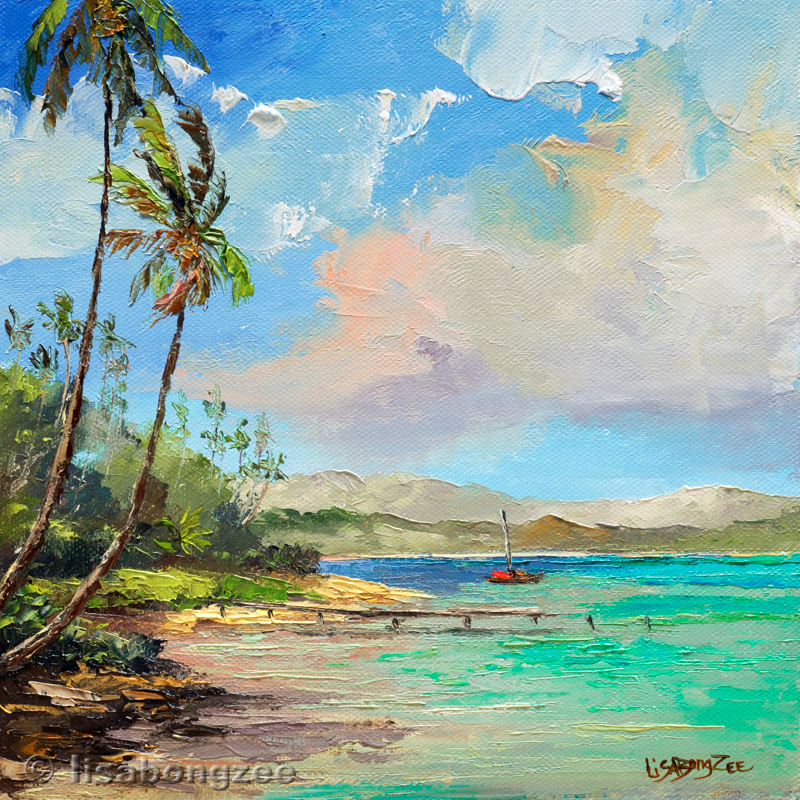 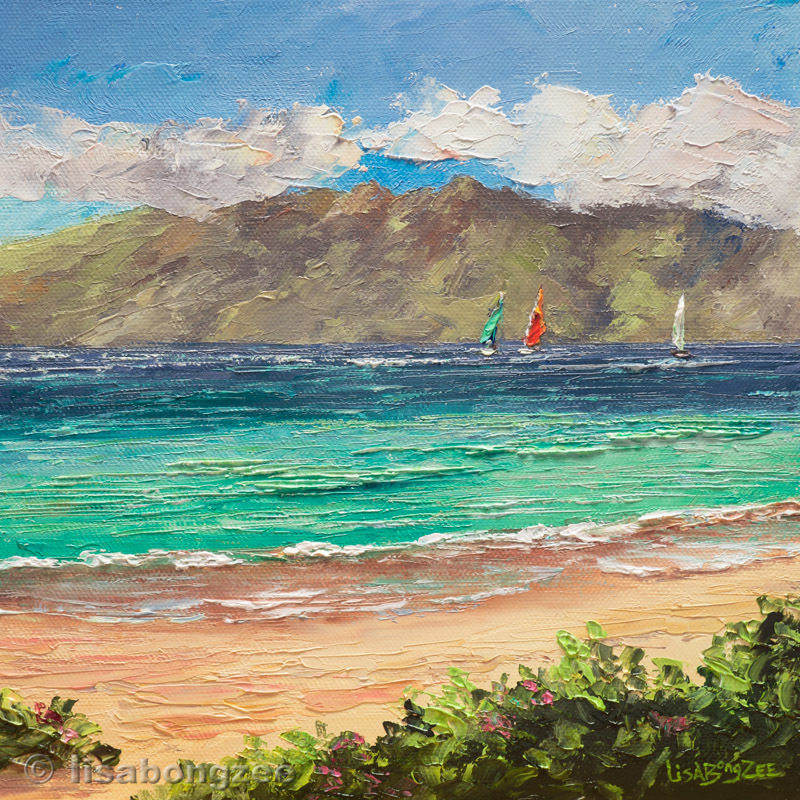 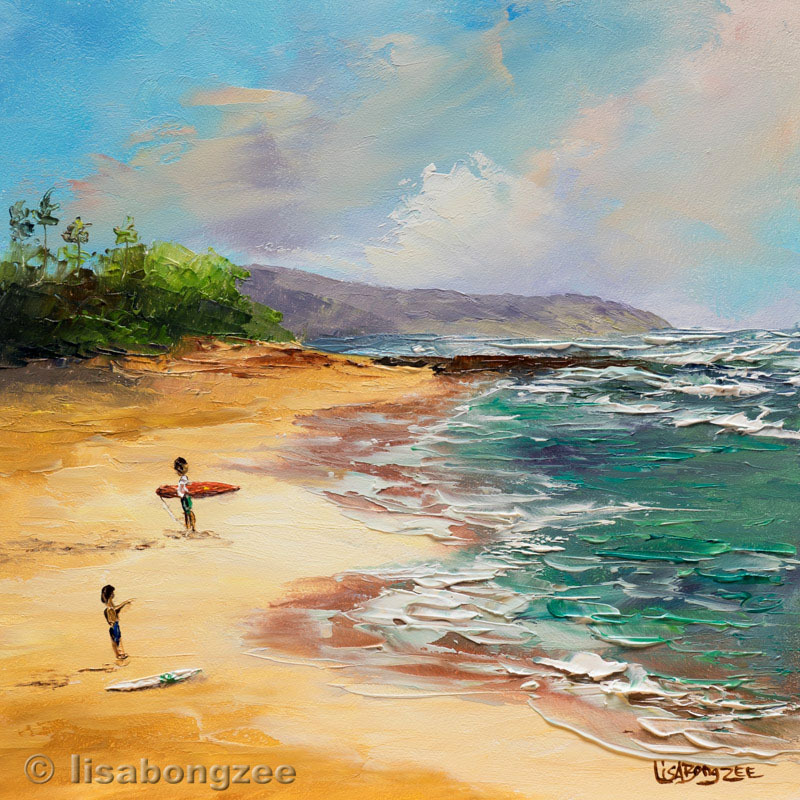 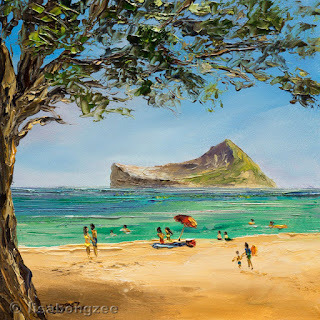 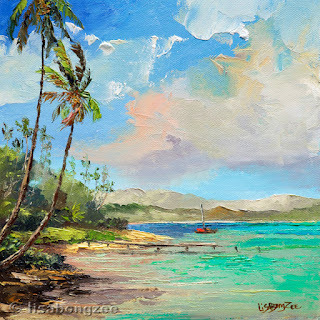 A couple new "Mini Hawaii" scenes of Oahu’s east shore.